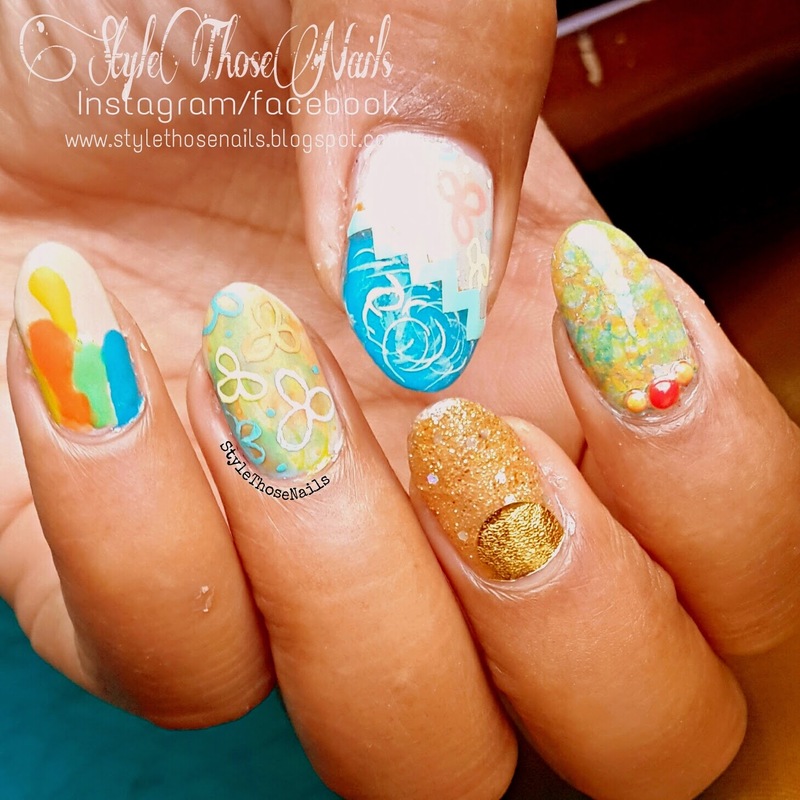 Happy Earth Day Friends, Today I am sharing a mix and match nailart where I did different designs on different nails and tried to use the colors inspired from spring and summer. This is the theme of #stnchallenges today Here is the explanation for each design. 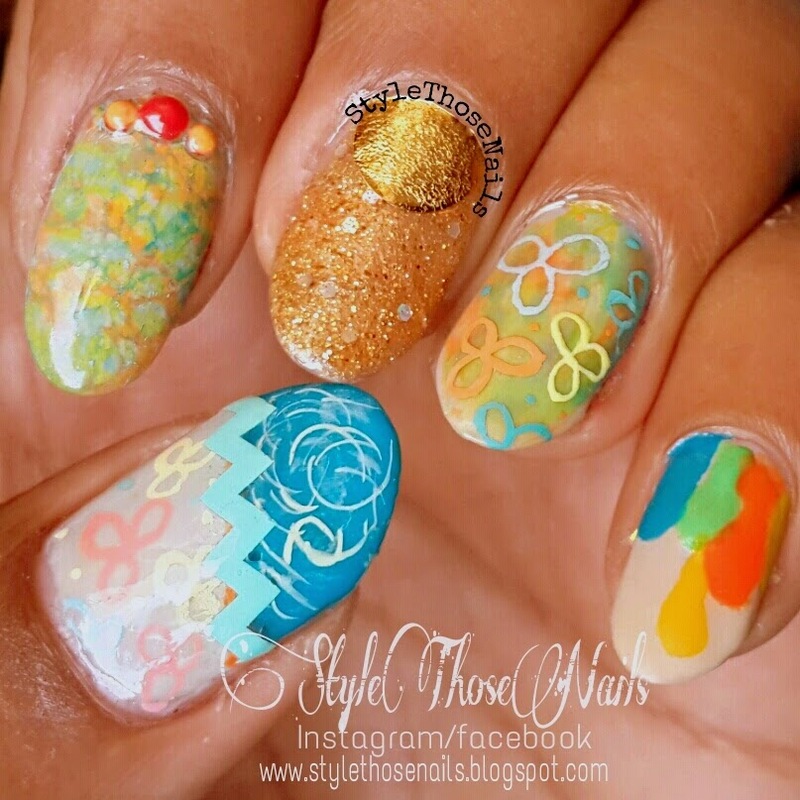 Starting from the thumb - I created a diagonal chevron and used stickme chevron strip as a sticker then painted some pastel flowers and abstract swirls. On my index I did a water spotted design by overlaying diferent colors and it gave so cool effect. I added some colored pearls to enhance the look. On middle nail I applied a franken polished gold glitter (made by adding golden goddess from Elf and loose gold glitter) and created a half moon at base by sticking a golden nailwrap sticker (I cut it in a semi circle). Lastly on pinki I did a drip design. You can see all the colors I used on the nails from my pinki lol. I love this mani as its not too loud yet attractive. 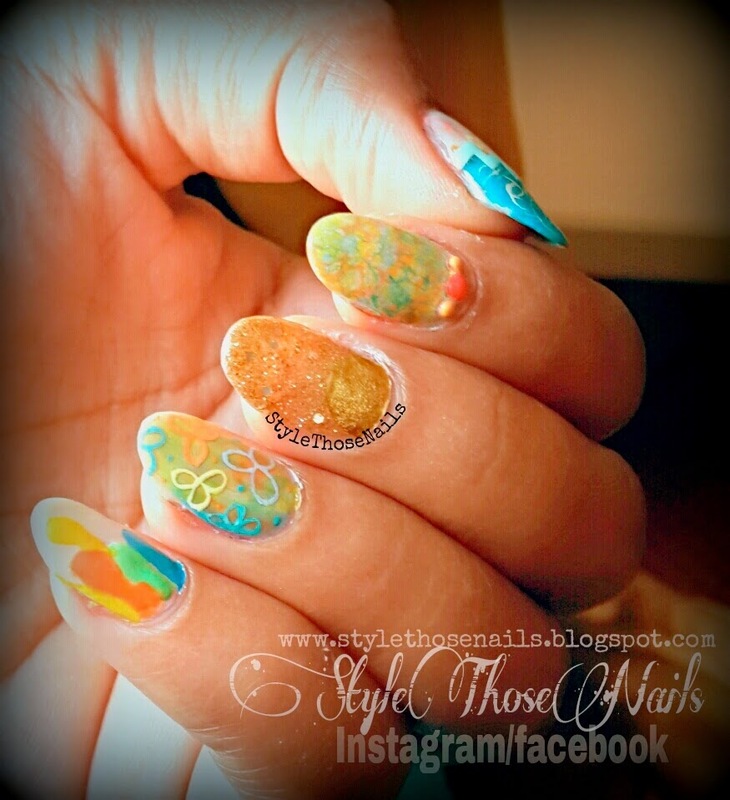 I am plnning to do such manis often as they really fun to do. Let me know which is your favourite design of all and also if you want me to share tutorial for any 1 or 2 . Share your precious feedback. Don't forget to like below Thanks ! 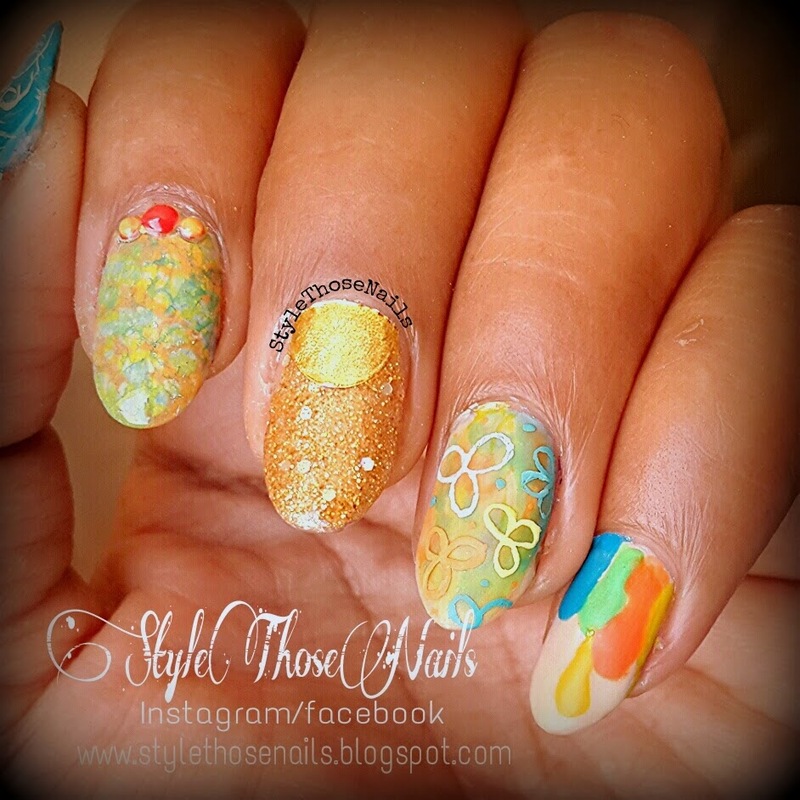 You can see more summer nail art on pinterest below. 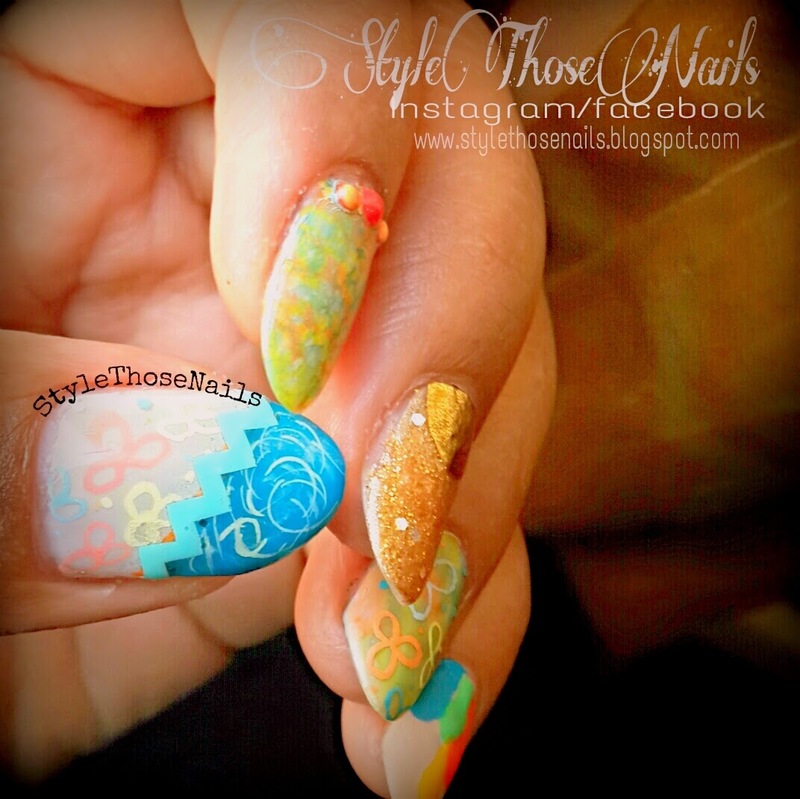 Follow StylethoseNails Challenges's board Popular Summer Nails Challenge on Pinterest.